Tom Clancy's Splinter Cell: Double Agent is the fourth installment in the Splinter Cell series of video games developed and published by Ubisoft. 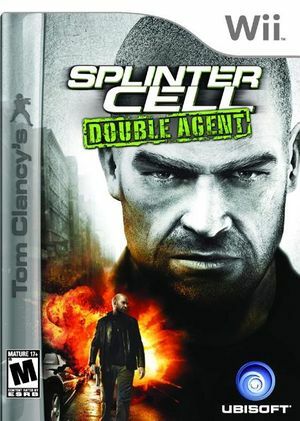 The series, endorsed by American author Tom Clancy, follows the character Sam Fisher, an agent employed by a black-ops division of the National Security Agency, dubbed Third Echelon. Wii Remote controls disconnect in this game. Press Alt-F1 to reconnect the Wii Remote whenever the Wii Remote gets disconnected. The graph below charts the compatibility with Tom Clancy's Splinter Cell: Double Agent since Dolphin's 2.0 release, listing revisions only where a compatibility change occurred.